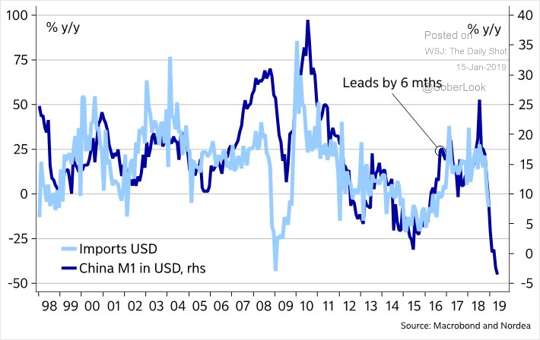 China: Tightening liquidity (the M1 money supply) suggests that imports could slow further. 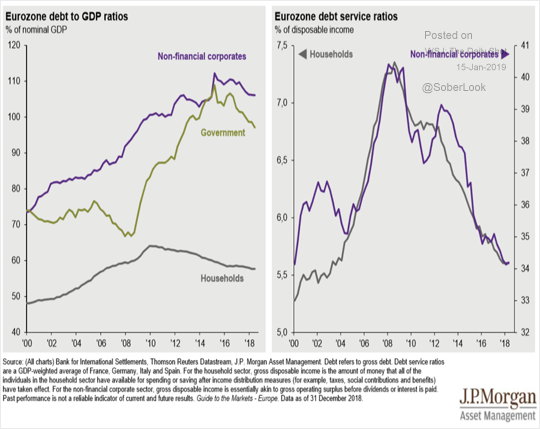 The Eurozone: Here are the Eurozone’s debt dynamics since 2000. 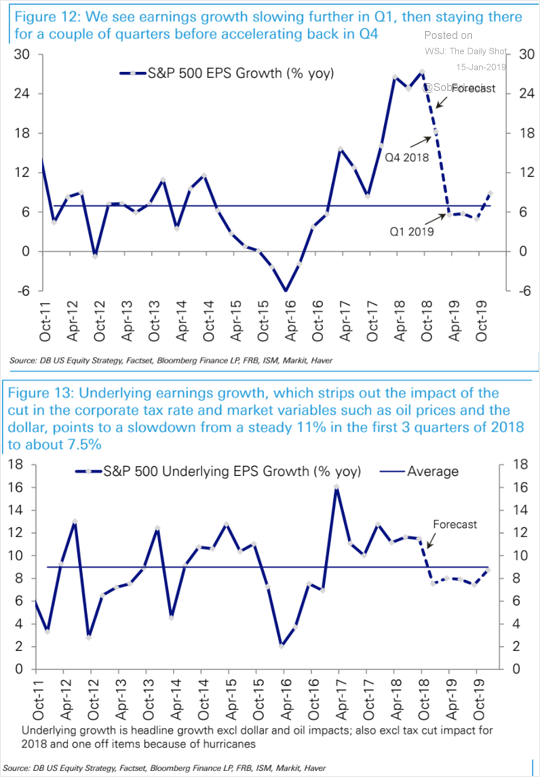 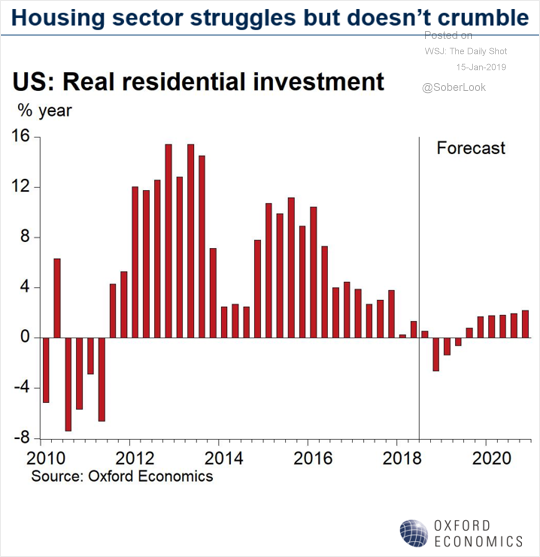 Equities: The slowdown in earnings growth doesn’t look as sharp when the impact of tax cuts is stripped from the trend. 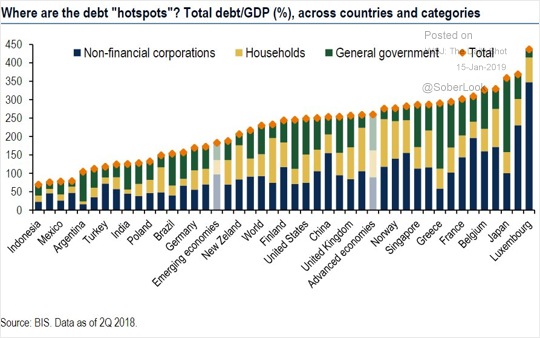 Global Developments: Here is the total debt-to-GDP ratio by country.